The Parker Knoll Albany Corner sofa can be designed and configured just as you want it. You can build up the length of the two sides as you see fit and for what is appropriate for your room. 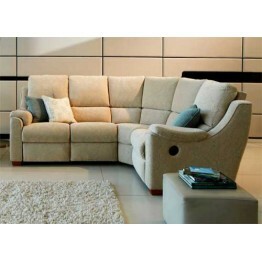 High supportive back cushions and also padded arms, and you can choose from all the Parker Knoll fabrics and leathers. We'll do all the set up in the room on delivery, and as usual we take away all the packaging for you. Albany Corner Sofa - This is one of the pieces that you can use to configure the corner sofa as you ..